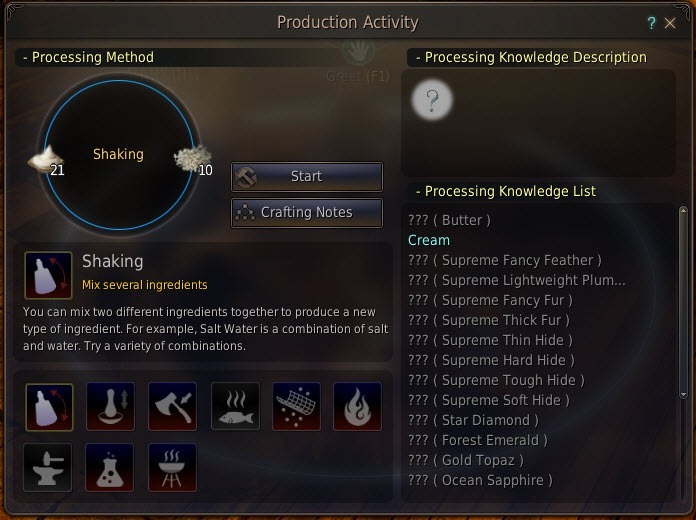 Making Milk Tea/Sute Tea requires a bunch of ingredients you can acquire from nodes, farming or manual gathering. Additionally, you also need Skilled Cooking 1. 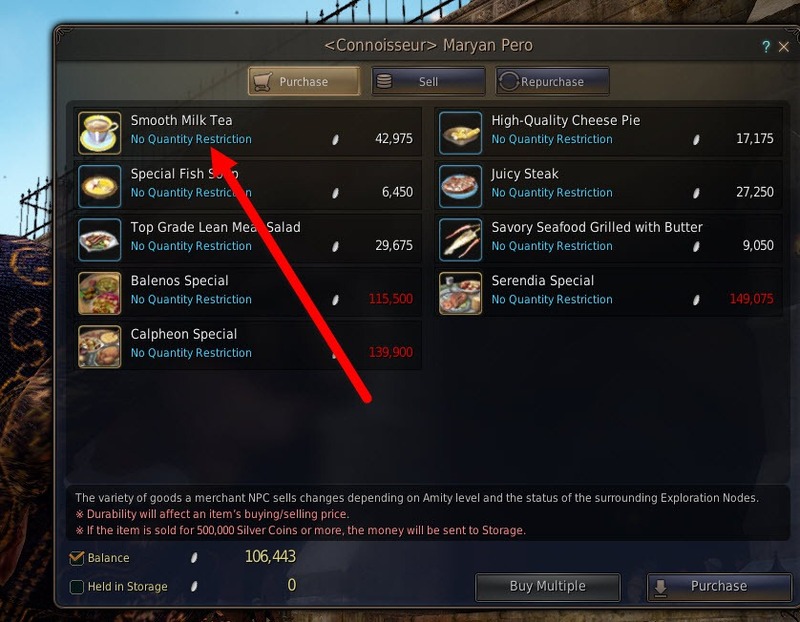 You can purchase Smooth Milk Tea (110 minutes version) directly from a vendor named Maryan Pero in Calpheon. It costs 43k silver so it is much more expensive than crafting it. 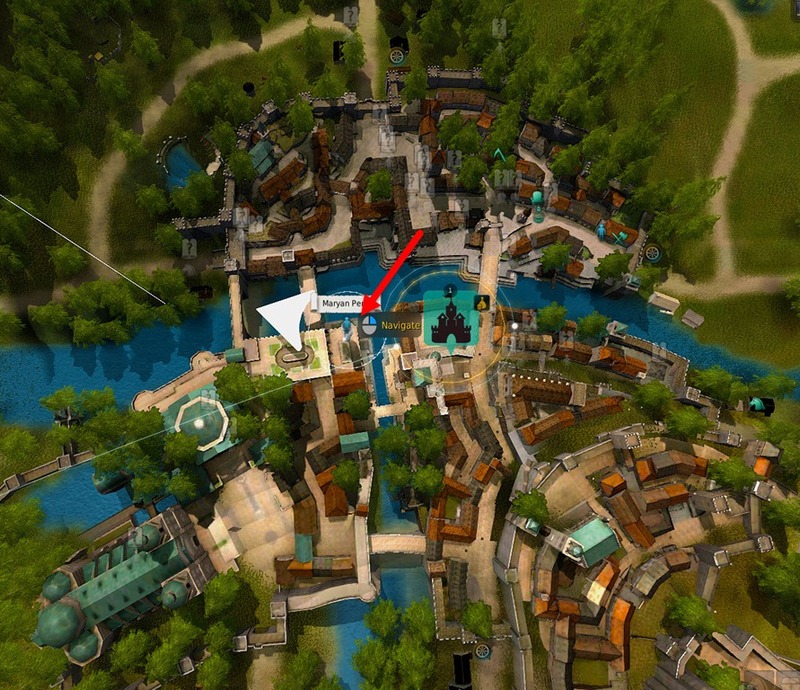 If you have the silvers and can’t be bothered just buy them from the vendor. Combat XP: XP required to level up to the next character level. 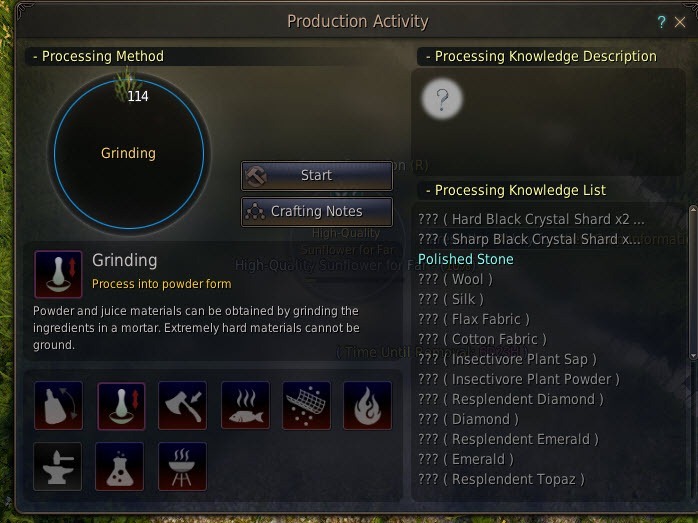 Life XP: XP required to level up a profession like gathering/crafting/processing etc. 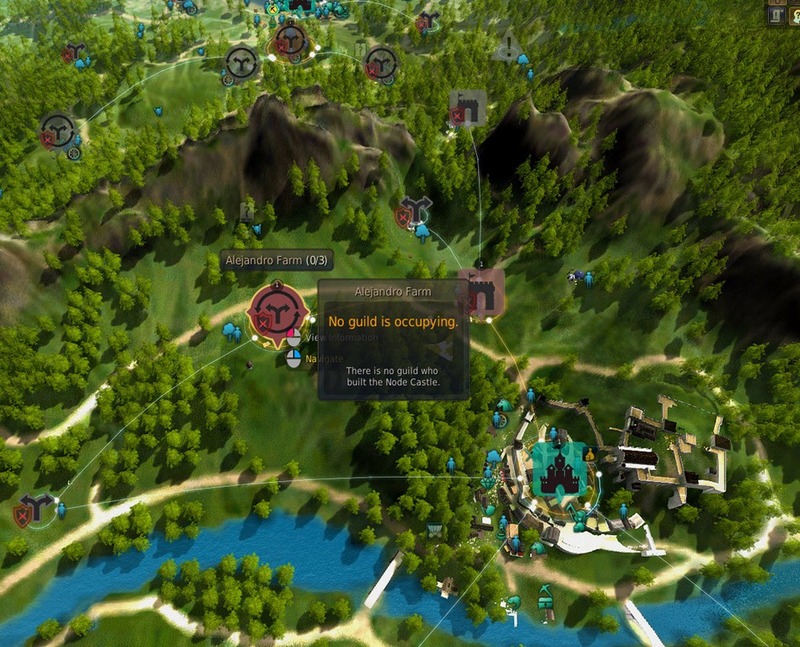 Skill XP: XP required to get more skill points for new abilities. Milk Tea increases your Combat XP gain while Sute Tea increases your Life XP gain by 8% respectively. 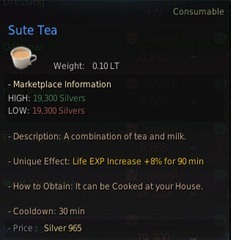 There isn’t a tea that increase your Skill XP. If you don’t know the basics of workers and nodes I would recommend reading this guide first to familiarize yourself. I recommend the following node setup for maximum time efficiency in order to enable the mass production of Milk Tea. While you can farm the grapes yourself or gather apples manually, it is good to have a worker gathering grapes to ensure you have a constant supply of them. 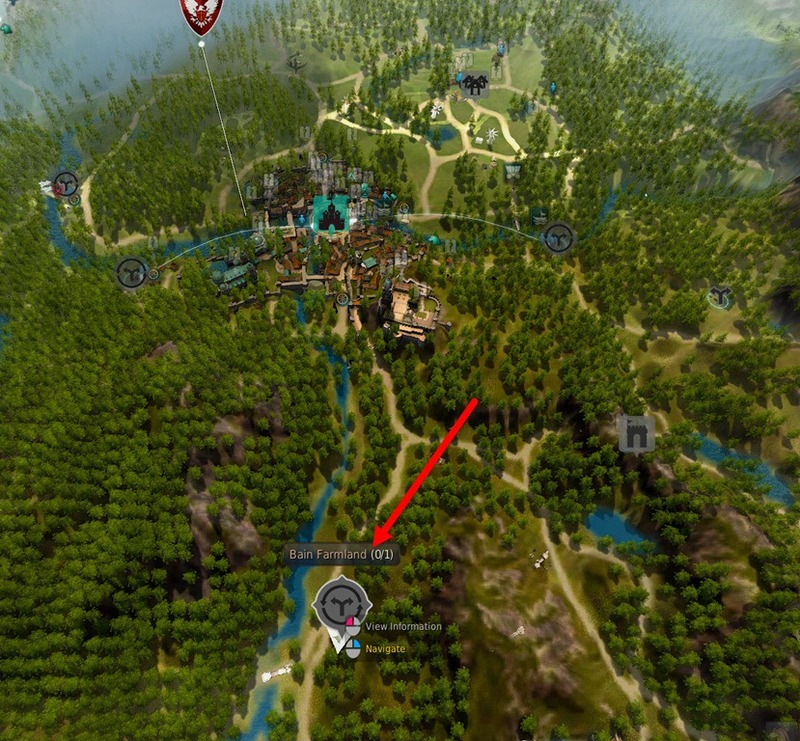 Casta Farm is right next to to Olvia so the contribution cost is 2 points only. You can pick either farm near Velia or even both if you need to increase your potato production. 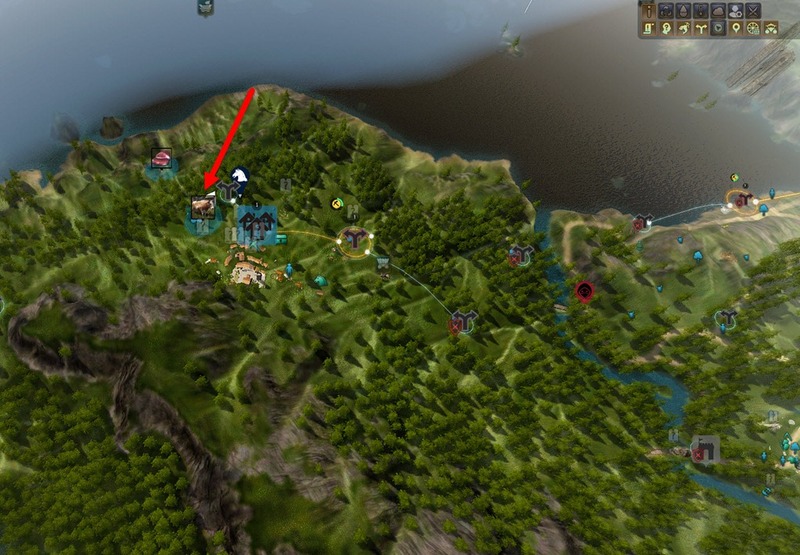 If you just need one node, I would pick Bartali since it has both potato and chicken meat resource nodes. You will need chicken meat if you want to make the Organic Feed for pets. Potato is needed for Beer to feed your workers and later on when you are making Milk Tea you will need flour which can be made from potato. Otherwise you will need to farm corn, wheat, or sweet potato. Cooking Honey is required to make both the precursor Tea with Fine Scent and the Milk Tea so you want to have a ton of them. The most efficient way is by having a node setup in Alejandro farm and have your worker gather the Cooking Honey.You cannot connect to the farm directly from Heidel and need to go through Northern Guard Camp. 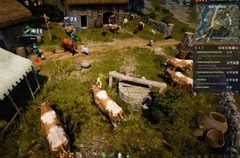 Farming isn’t required to make Milk/Sute Tea but if you want to mass produce them it is essential to have a farm as it is much less time consuming to gather the materials manually. A seed takes 4-7 hrs to grow and can yield as much as 80 products per seed with minimal time investment. If you are unsure how to get your farm up and running I recommend reading this guide. 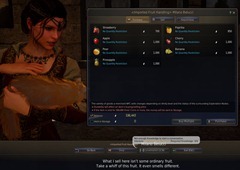 Grapes/Strawberry: The grape node near Olvia can be pretty slow in getting enough grapes so if you need more grapes I would recommend planting some grape seeds or strawberry seeds.Do note that grape seeds take up 2 slots and strawberry only takes 1 slot so strawberry is much better for mass production. Strawberry also takes 5 hrs base to grow while grapes take 7 hrs base. A single 10 slot farm would probably be sufficient at the start. You can probably plant 6 sunflowers and 4 strawberries/2 grapes while breeding half of them for seeds and harvest the other half. 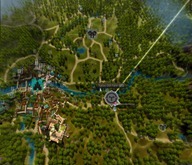 Later on as you need more you can expand to more farms. 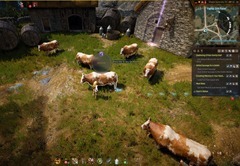 Gathering Milk is very energy intensive so I would recommend several alts as they all share the same energy cap but regen their own energy individually. There is a cow farm right by Olvia so you can have your alts parked at the cow farm easily right after speeding through the tutorial. 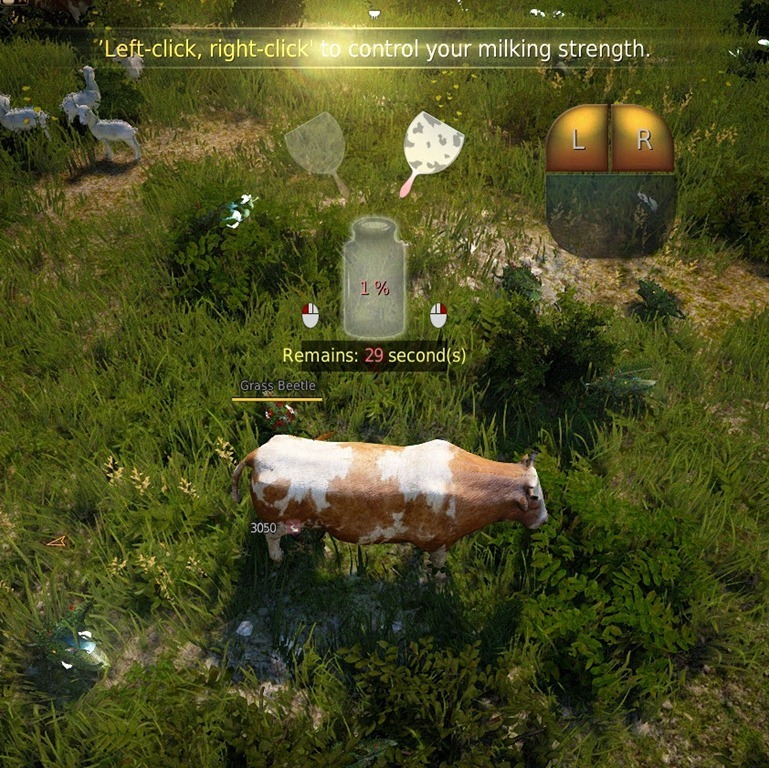 There are two daily quests nearby that give you more milk too. 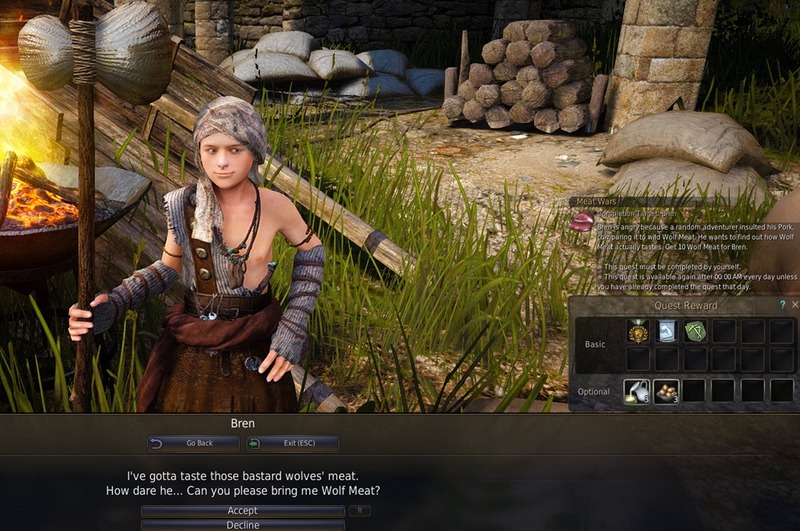 The Flute Boy next to the cow farm give you a daily quest that rewards 10 Milk and there is a NPC named Bren that give you another daily quest for 10 wolf meat that rewards you with 3 milk. 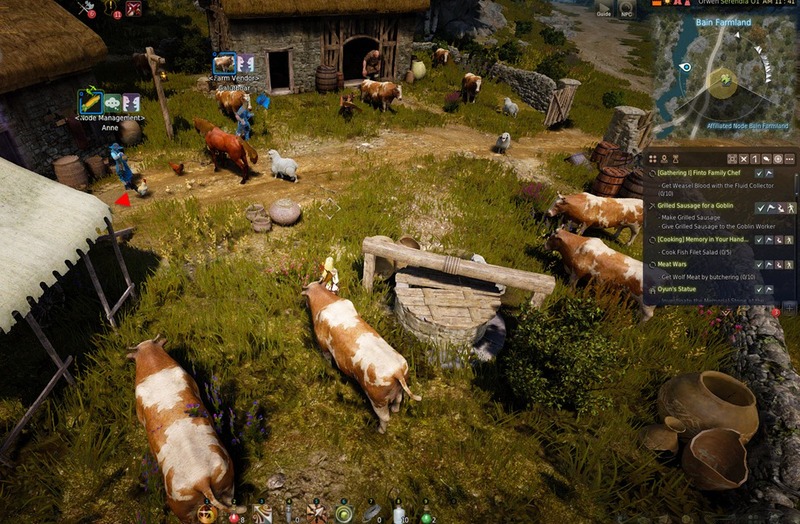 This farm is just east of Calpheon with its own daily quest of 10 Milk. 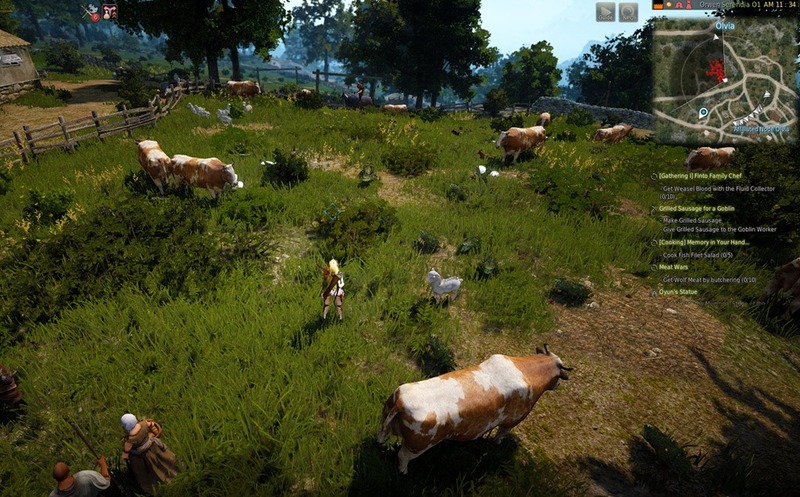 South of Calpheon with its own daily quest of 10 milk as well. 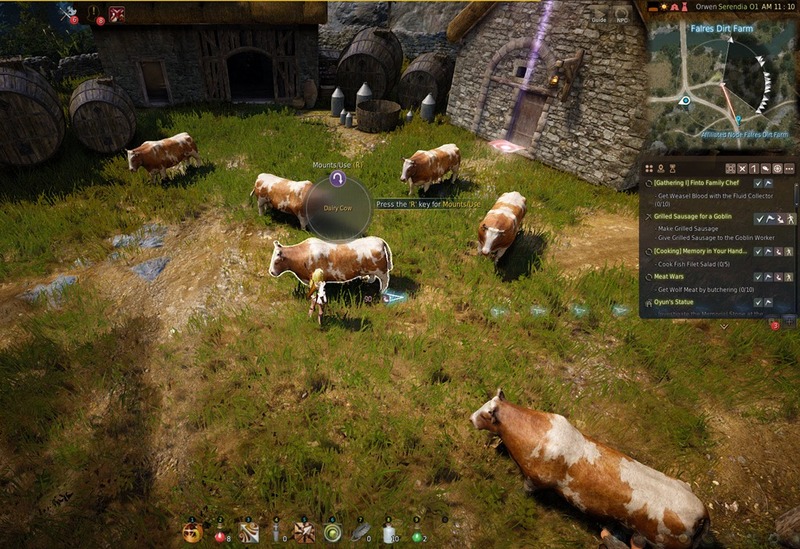 Gathering Milk is a mini game that requires 5 energy to get started. 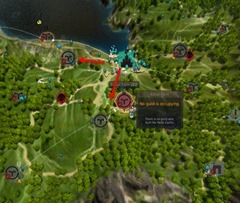 If you fail the minigame, you lose 2 energy get nothing. If you succeed at the minigame, you lose 5 energy but gain a variable amount of milk (I have personally gotten anywhere from 5-10 milk per minigame). The goal with the minigame is to gather 100% milk within the 30 seconds time limit. 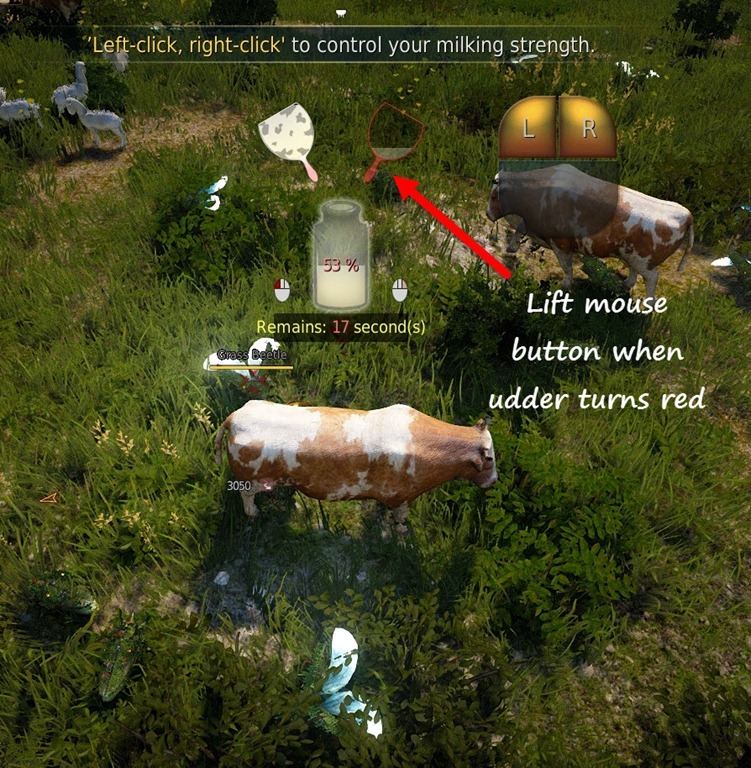 Your left mouse button represents the left udder and your right mouse button represents the right udder. You want to hold down the corresponding mouse button when a udder appears but stop immediately when the udder turns red. 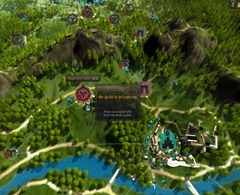 If you don’t stop in time, you will fail the minigame immediately. You can’t go too slow either by pressing down your mouse button quickly as doing so will cause you to fail the time limit. It will take some practice to get it perfect. Alternate ways to get milk is by trading 5 of the Strongly Seasoned Dish for 1-2 milk. These are produced when cooking as one of the five possible byproducts. It is a good way to get some extra milk on the side. 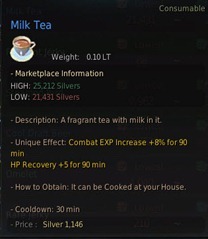 You need Skilled Cooking Level 1 to make Milk Tea/Sute Tea. You should be making Beer (5 Potatoes, 6 Mineral Water, 2 Leavening Agent, 1 Sugar) from Beginner Level 1-10 while you are gathering materials for Tea with Fine Scent. 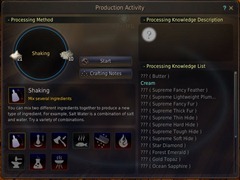 Once you hit apprentice in cooking start mass producing Tea with Fine Scent so you have enough stockpiled for when you hit Skilled and can make Milk/Sute Tea. To make Tea with Fine Scent you will need to put the following in the Cooking Utensil. You will also need Cooking Apprentice Level 1 (make Beer until you get to this level). 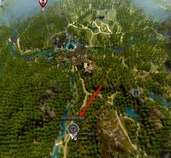 7 Mineral Water (purchased from any cooking vendor, find them by using the NPC button to the left of minimap and select the cooking button). This makes 2 Tea with Fine Scent with the rare proc of Tea with Strong Scent. While you can use the Special Quality/Top Quality blue versions of the fruits/flowers. That is rather a waste and it would be better to make crates with them and sell them to Trade Managers. 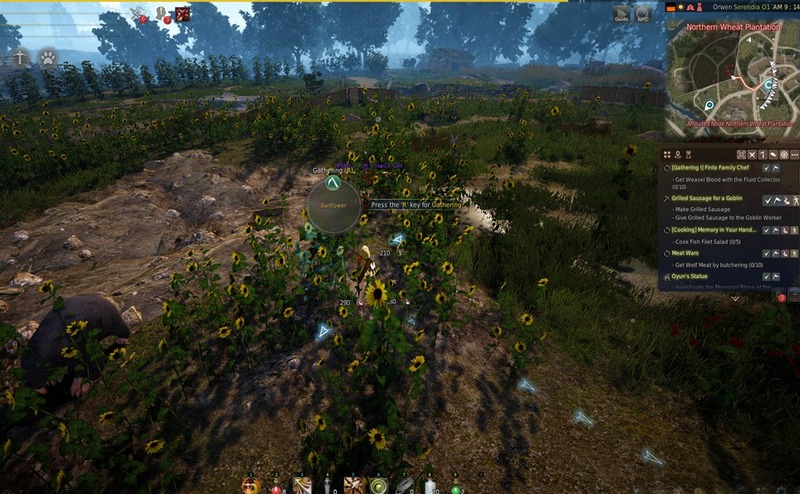 Sunflower, as discussed above, can be acquired from farming sunflower seeds. This is the only flower you can mass produce. 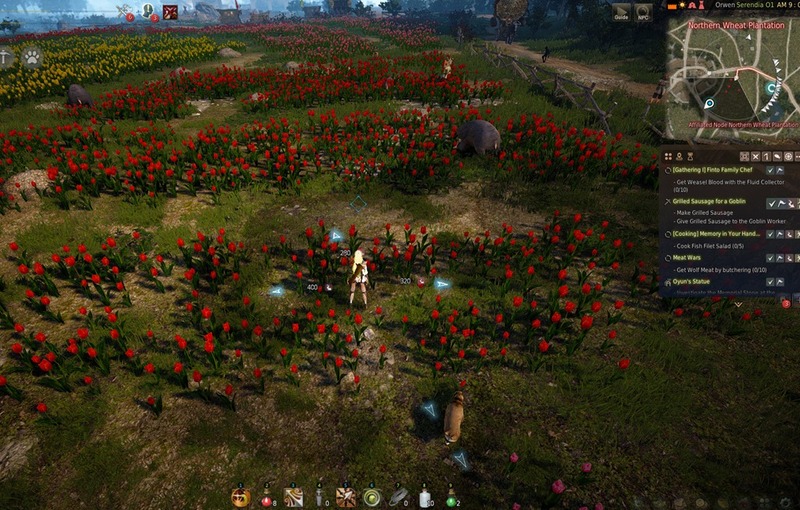 If you don’t like the hassle of maintaining a farm, you can manually gather Sunflowers, Tulips and Roses at the Northern Wheat Plantation just NE of Calpheron which is is far west of Heidel. Strawberries are best for mass production in making the Tea with Fine Scent as they only requires 1 crop slot and only takes 5 hrs base to grow. Grapes are the second best as they are are something you can farm (takes 2 slots, base 7 hrs) or gathered by your workers from a node at Casta Farm near Olvia. 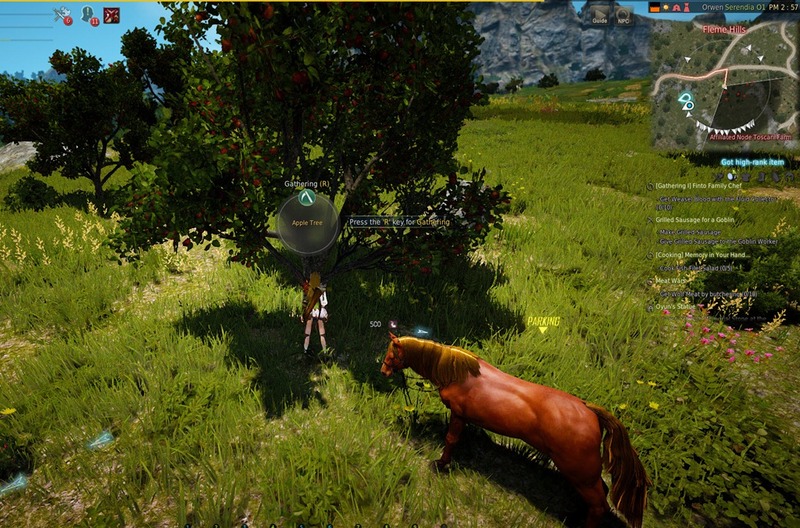 The third best are Apples which you can manually gather from apples trees found randomly around Velia/Olvia (make sure to use a gathering hoe or you risk getting weeds most of the time) but it is extremely time inefficient if you want to mass produce. 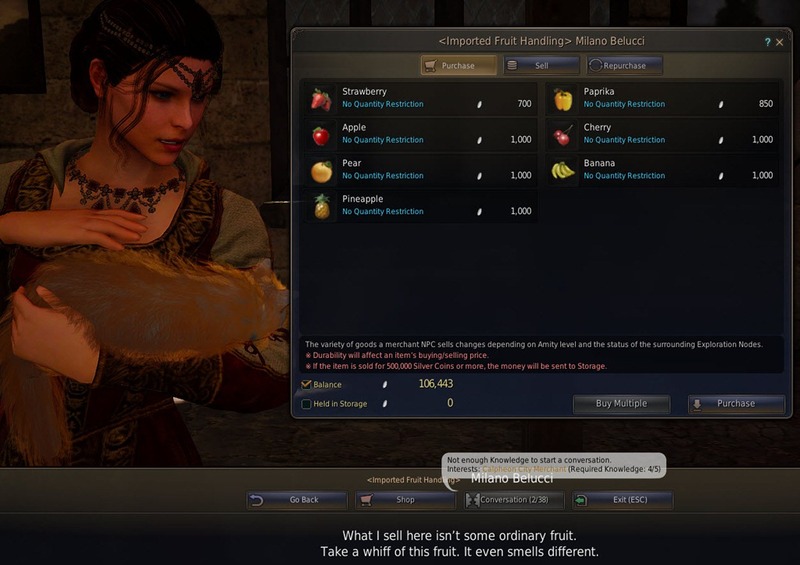 Alternatively, if you really can’t be bothered, you can purchase any of the fruits from Milano Blucci in Calpheon for 700-1000 silver. 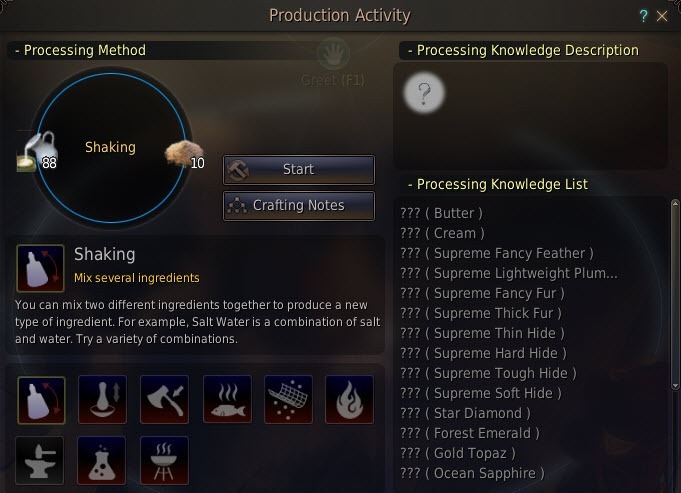 Cooking Honey can be obtained from the resource node in Alejandro Farm west of Heidel. 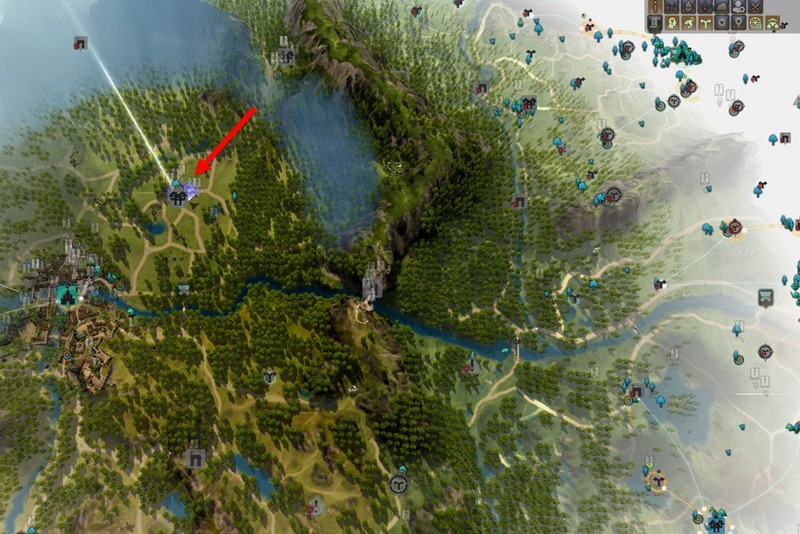 This is already covered at the top on the topic of nodes so I won’t go into detail. To make Milk Tea you will need Cooking Skilled 1, which you can grind by making batches of Tea with Fine Scene. You will need to place the following in your Cooking Utensil. Corn/Wheat/Barley/Potato/Sweet Potato Flour can be made by Processing. 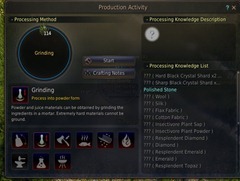 Press L to open the processing window and then select grinding. This converts the crop to flour at a 1:1 ratio but you also get extra via your processing skill (close to 1:2 in most cases). 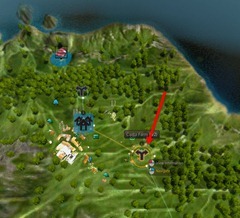 Potato can be obtained easily via resource nodes mentioned above. Wheat seeds are also fairly easy to obtain and can be mass produced via farming. Barley/Corn/Sweet Potato can also be mass produced through farming but beware that Corn takes up 2 crop spaces. 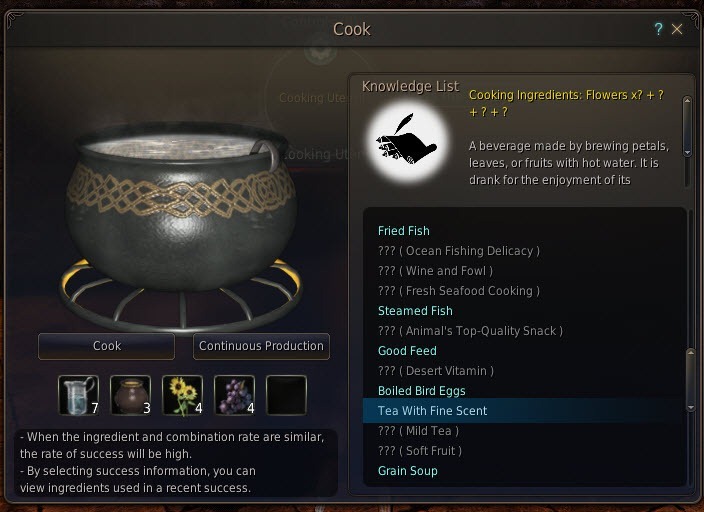 To make Sute Tea you will also need Cooking Skilled 1. You will need to place the following in your cooking utensil. 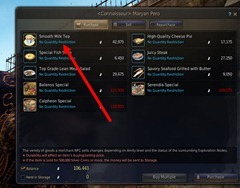 1 Salt (purchased from cooking vendor). To Make Butter you need to first process Milk & Sugar together at 1:1 ratio via Shaking in Processing to make Cream. Once you have Cream you need to process it together with Salt via Shaking in Processing to finally make Butter. 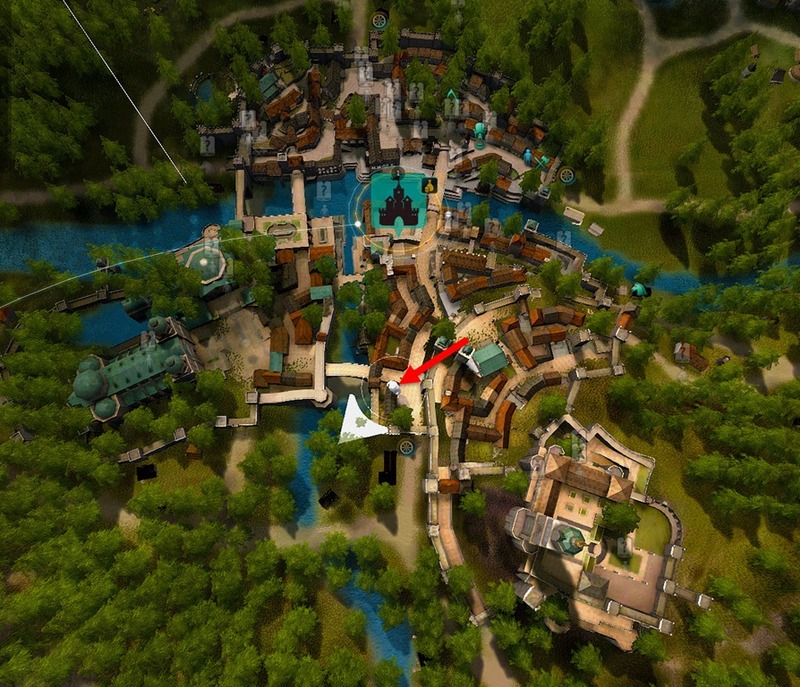 Can I ask… Does this game do anything other than what looks like crafting? 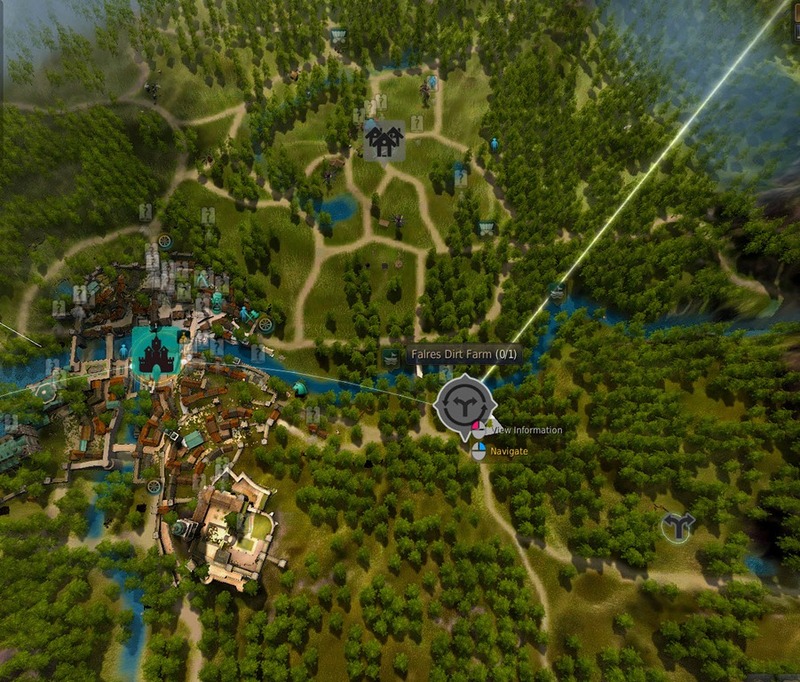 like quests and pvp and stuff? was thinking about getting this game but not sure yet…. Damn, Making Tea ain’t easy. Nice guide again. Thanks a ton for providing them. Hope the next one is a guide about partysystem and lootsystem. Reading “precursor Tea” in your article almost makes it sound difficult to craft… expensive even. And there is a mystic smell of toilet nearby… nah, must be another game. 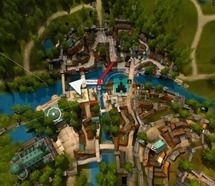 btw are this all affected by lvl of city or nod from invested energy in ?? i still dont know, what exactly does leveling up city or nod ?? Cappuccinos for the virtual world. hi to all 🙂 thx for this helpful guide! 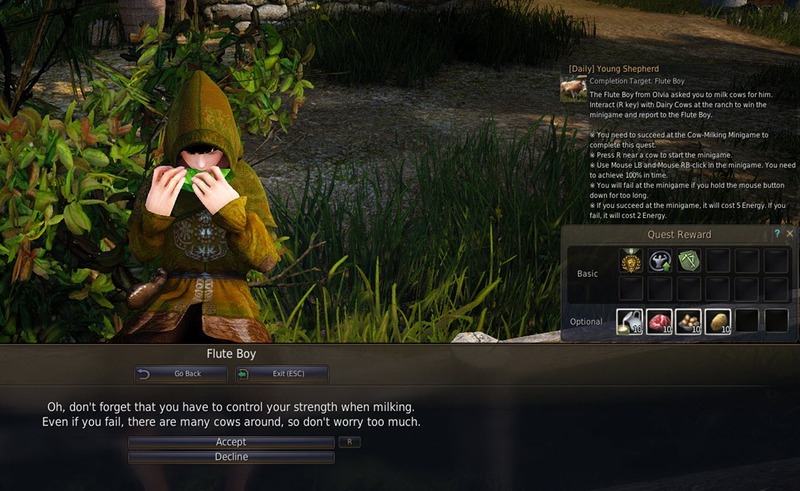 i have a little question : i’ve found the flute boy but he doesn’t give me the daily quest. is there anything to do to unlock him? I need help with this, too. The flute boy has no quests for me :(. Thanks for the guide !!! Real good and detailed. wounder if there is similar guide for cooking Serendia Meal. First I’ll breed and harvest accordingly to overall replace everything back to the way it was (meaning, no need to buy any more supplies from the market). Then I’ll process half the milk into cream, then into butter. Meanwhile I have a goblin at Alejandro Farm gathering Cooking Honey for me. Also need to mention that I already bought a big amount of salt, sugar, and mineral water to reduce the need to go back into town. 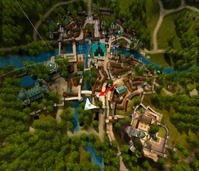 My farms are located in a 3×3 + 1 formation at Loggia Farm and have a residence there with a container. 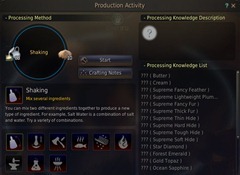 When ready, I’ll transport (From Heidel warehouse to Velia warehouse) the Cooking Honey to Velia while processing some of the milk into butter. After the Cooking Honey arrives, the container in my residence has everything available to cook the Tea with Fine Scent. With that in my inventory now, I can cook Sute Tea immediately.